Fill a large pot half-way with water, place on the stove, turn heat on to high, and let come to a boil. 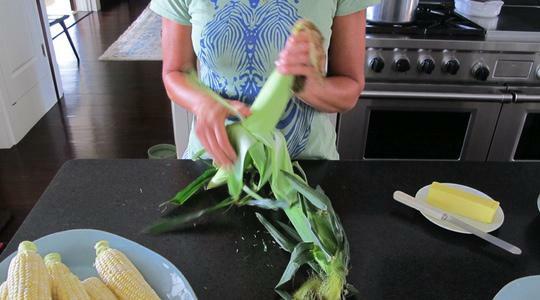 Meanwhile, shuck the corn and remove the silks. 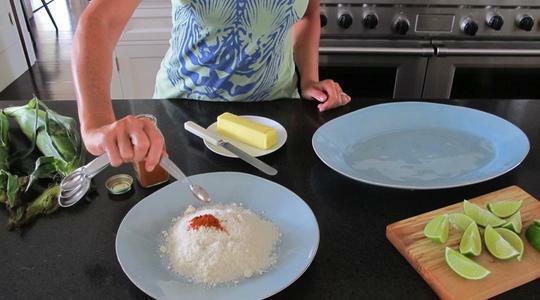 On a large plate, combine the Parmesan and cayenne. Set the butter and a large platter nearby. Then cut the limes into wedges. 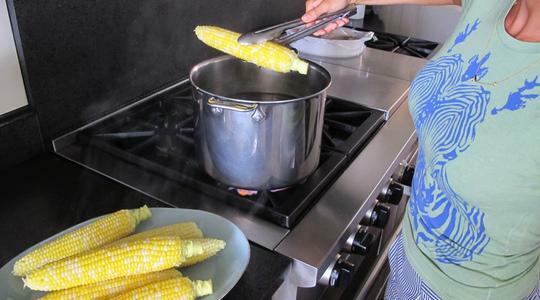 Once the water is boiling, add the corn. Let cook for 5 minutes. 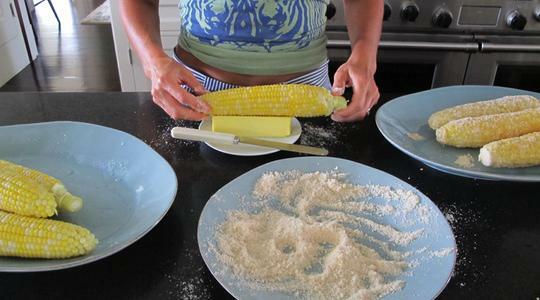 Use tongs to grab the corn out of the water; place on another platter. Now it’s time to coat the corn. 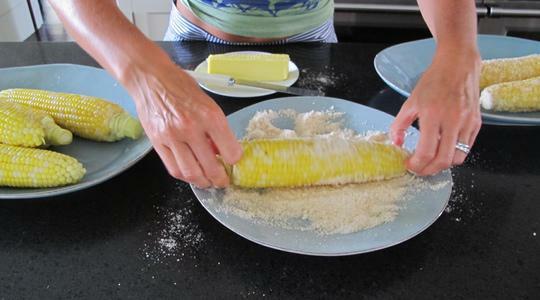 First, roll the corn in the butter then roll it in the spicy Parmesan. 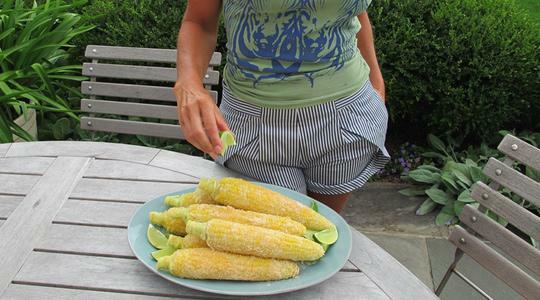 Place on the platter and serve with the lime wedges.